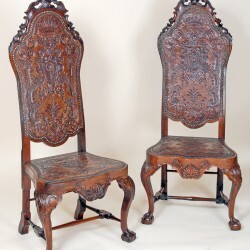 The arched shaped high backs surmounted with carved crests. 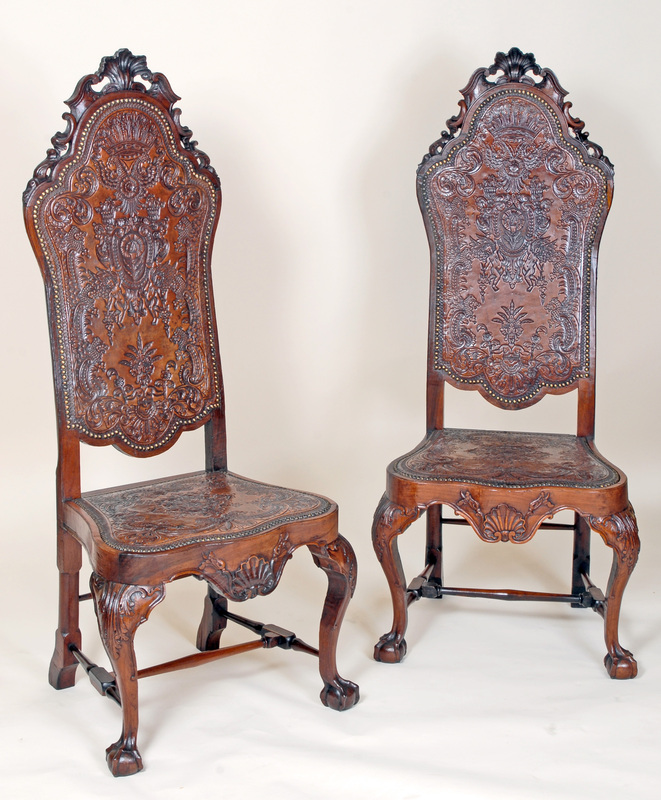 The cabriole legs are carved with acanthus leaves on a ball and claw foor with centre stretcher. 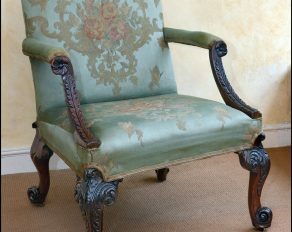 The tooled leather seats and backs are richly decorated with coronets, figures and South American condor eagle.